Dealing with the fallout of Rita Repulsa’s abduction of Matthew, the Power Rangers are confronted with a dark specter from the future with a shocking connection to Lord Drakkon--ties into Shattered Grid! CAN THE POWER PROTECT THEM? The Power Rangers have just exhaled a sigh of relief after their friend Matthew narrowly escaped Rita’s clutches on the moon, but a new enemy has already emerged, one that will have the Rangers question every decision they’ve made so far. Tying into the critically acclaimed, bestselling Shattered Grid event, the Mighty Morphin Power Rangers must confront the future to save the past as they face off against the mysterious Ranger Slayer. 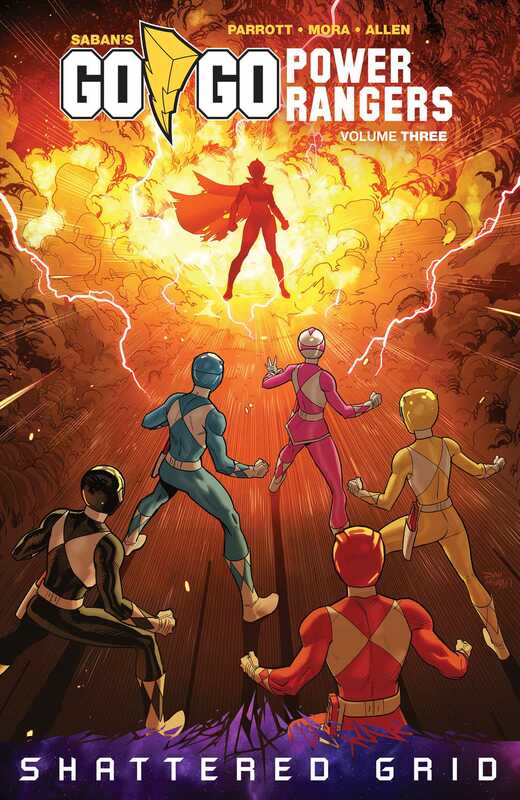 Written by Ryan Parrott (Star Trek: Manifest Destiny) and illustrated Russ Manning award winning illustrator Dan Mora (Klaus), the next installment of Saban’s go Go Power Rangers puts the entire legacy of the Power Rangers in jeopardy.